MTH M&M'S Offset Steel Caboose #70-77029 w Free ship! Marklin Gauge 1 #58311 Museumwagen Set. Model: #58311 Museumwagen 1997. We use all new boxes and cushioning materials. Essio Gurken Pickup Truck With 3 Barrels. Kauffmann Klostersenf Box Car. Marklin Maxi Circus Maxi Male Gondola Museum 1998. Two-axle high side gondola lettered and painted for "Circus Maxi Male" for transporting Elephants. "CIRCUS MAXI MALE" edition from 1998. New in open box! Marklin 54941 Maxi 1 Gauge ATSF Santa Fe Stake Car w Free ship! Up for sale is a Marklin 1 Gauge Starter Set 55031 v100 1040 Diesel Locomotive ONLY. THIS IS FOR 1 DIESEL LOCOMOTIVE ONLY. Located in Orange County, CA. 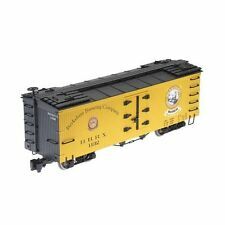 Marklin Maxi #54831 1996 Maggi Box Car Metal Freight Car Yellow 1 / G NEW! New In Box! We use all new boxes and cushioning materials. Buy It Now. Marklin 5524 KWSTE T18 Steam Locomotive. 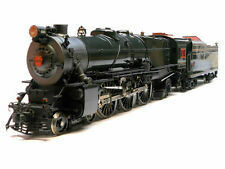 This is a Marklin 5524 KWSTE T18 Steam Locomotive. Model Number: 5524. Manufacturer: Marklin. Model Type: Steam Loco. Scale/Era: G Scale. We use all new boxes and cushioning materials. It is missing the brake wheel, part of 1 coupler, 1 small wire hand rail. Made for the U.S. market around 1915. Well played with! The prototype for this model is an agricultural traction engine built by Allchin in their well known "Globe" steam works, Northampton, England. This engine has typical Victorian characteristics of the period, with a short smokebox, straight back tender, smaller front wheels and "dumpy" looking boiler. Ives 1 gauge #41 locomotive in Very Good (C6) condition. Ideal for the operator for restoration or the collector for the shelf! OVER 25 YEARS EXPERIENCE DEALING TOY TRAINS! Father and son team Ed & Doug Prendeville are experienced and respected dealers in the toy train industry. MARKLIN 1 GAUGE. 1992 MUSEUM CAR. And this is a very reasonable fee to ensure your item arrives safe and sound and intact! COVERED GOOD FREIGHT CAR. LIKE NEW CONDITION WITH ORIGINAL BOX. BOX SHOWN MINOR SHELF WEAR. MARKLIN 1 GAUGE 58203. DB HIGH SIDE GONDOLA WITH GLASS LOAD. And this is a very reasonable fee to ensure your item arrives safe and sound and intact! LIKE NEW CONDITION WITH ORIGINAL BOX. BOX SHOWN MINOR SHELF WEAR. MARKLIN 1 GAUGE 5415. WITH HAPAG-LLOYD CONTAINER. And this is a very reasonable fee to ensure your item arrives safe and sound and intact! LIKE NEW CONDITION WITH ORIGINAL BOX. BOX SHOWN MINOR SHELF WEAR. This is the Märklin Gauge 1 -Dapolin Kesselwagen. This is the Märklin Gauge 1 - H 66/13021 PLM Pacific, electric version. I'm not sure the exact year of manufacture but they were made between 1922 - 1929. Marklin Maxi 1 Gauge #54833 Metal Blue King Ludwig Dunkel Freight Car NEW! Marklin Maxi #54833 King Ludwig Dunkel Freight Car. Here is a Marklin 54833 1 Gauge Konig Ludwig Dunkel Freight Car. New in the original box never opened only to take the picture made by Marklin # 54833. DB "HOFBRAU MUNCHEN" BEER. MARKLIN 1 GAUGE 5422. And this is a very reasonable fee to ensure your item arrives safe and sound and intact! COVERED GOODS FREIGHT CAR. LIKE NEW CONDITION WITH ORIGINAL BOX. Available only at the Marklin Museum in Goppingen. Two-axle beer refrigerator car with a brakeman's cab, Association design. Used on the German Federal Railway DB. The car looks as it did around 1959. Marklin 1 Gauge 5831 Bierwagen Schwabenbrau Box Car. It is 1 Gauge. It is a Schwabenbrau box car. We use all new boxes and cushioning materials. Was previously owned, kept in great condition. 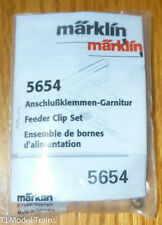 Marklin Maxi # 5483 Vivil German Candy Box Car Metal 1 Gauge NEW! Marklin Maxi # 5483 Vivil German Candy Box Car. Two axle box car lettered "Vivil" with working sliding doors on both sides. Marklin quality. We use all new boxes and cushioning materials. New In Box! Artistocraft Christmas The Eggliner Locomotive. Item # ART22725. Crisp Painting and Lettering. 1:29 Scale. Neat looking item., but nice and clean. I tested this unit and it went forward and reverse with no issues. This is the Märklin Gauge 1 -Plannwagen. Marklin Maxi Baggage Car K.Bay. Sts.B. #54851 1 Gauge NEW! Marklin Maxi Baggage Car K.Bay. #54851 1 Gauge. We use all new boxes and cushioning materials. New In Box! 5 out of 5 stars - Marklin Maxi Baggage Car K.Bay. Sts.B. #54851 1 Gauge NEW! 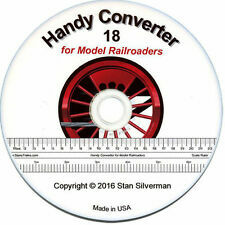 1 product rating1 product ratings - Marklin Maxi Baggage Car K.Bay. Sts.B. #54851 1 Gauge NEW! Featuring a nice 0-gauge clockworklocomotive. Three glossy tin lithographed 3rd class passenger coaches with doors, and a nice baggage car. Circa early 1930's, made in Germany. Condition: Excellent condition, considering the age, the train cars are nice glossy lithograph is crisp, the locomotive is fully functional. This is the Märklin Gauge 1 - Kohlewagen. This is the Märklin Gauge 1 -Bierwagen. Available only at the Marklin World of Adventure in Goppingen. Type GI 11 high-capacity boxcar, used on the German Federal Railway (DB). The car has a long body with a barrel shaped roof, and a reproduction of walls constructed with boards. This is the Märklin Gauge 1 -Schlafwagen. Marklin MAXI Low Side Car #5480. The Marklin Maxi line is out of production. Painted in Light Gray. New in open box! We use all new boxes and cushioning materials. 12" long x 2 1/4" high x 3 1/2" wide. Accucraft AMS 1:20.3 Scale, 45mm Gauge, Drop Bottom Gondola. Scale / Gauge. Plastic body, Brass casting. 1:20.3 / 45 mm. This is the Märklin Gauge 1 - Weinwagen. RIV FLAT CAR WITH "FRAUENKIRCHE" BELL LOAD. MARKLIN 1 GAUGE 5419. And this is a very reasonable fee to ensure your item arrives safe and sound and intact! PLASTIC HOLDER SHOWS BROKEN AND TAPE REPAIR. MARKLIN 1 GAUGE 58682. DB WMF COVERED GOOD FREIGHT CAR. 2010 MUSEUM CAR. And this is a very reasonable fee to ensure your item arrives safe and sound and intact! LIKE NEW CONDITION WITH ORIGINAL BOX. Marklin 5422 1 Gauge Freight Car Hofbräu Octoberfest Beer Car New In Box! Marklin Hofbrau Munchen Beer Car Octoberfest Beer Car. Marklin 5422 1 Gauge Freight Car Hofbräu. We use all new boxes and cushioning materials. Original Box. New Open Box! I think this was made by Marklin but it is marked A.W. Gamages Ltd. Holborn London Made in Germany. MARKLIN / MAXI 1 GAUGE 54964. TIN "GASOLIN" TANK CAR. And this is a very reasonable fee to ensure your item arrives safe and sound and intact! LIKE NEW CONDITION WITH ORIGINAL BOX. BOX SHOWN MINOR SHELF WEAR. ENGINE AND TENDER ARE IN EXCELLENT CONDITION. JUST MISSING BELL ON THE ENGINE AND TENDER HAS BREAK STAND PIECE BENT (SEE PHOTO #8). MINOR PAINT SCRATCHES. Marklin Maxi #5471 Bavarian Series Coach Car Metal 1 Gauge NEW! Marklin Maxi #5471 Bavarian Series Coach Car. Marklin Maxi Gauge I 1 Bavarian Passenger Car, Blue, with original box. 2nd class. We use all new boxes and cushioning materials. New In Box! Marklin Maxi 54804. 2 each Marklin Marklin Maxi bolster wagons with Plain brown livery. Cradle 2 Car Set with Real Timber Load. Timber load consisting of 16 each precision milled wood timbers. Factory boxes and foam carrier for safe secure storage and transportation for the two cars and lumber load. Marklin Maxi 54801 Low Side Gondola Car With Tractor G / 1 New In Box! Marklin Gauge 1 Maxi 54801 Low Side Gondola Car With Tractor. Marklin Maxi Low Sided Gondola Wagon, #54801. We use all new boxes and cushioning materials. New Open Box!